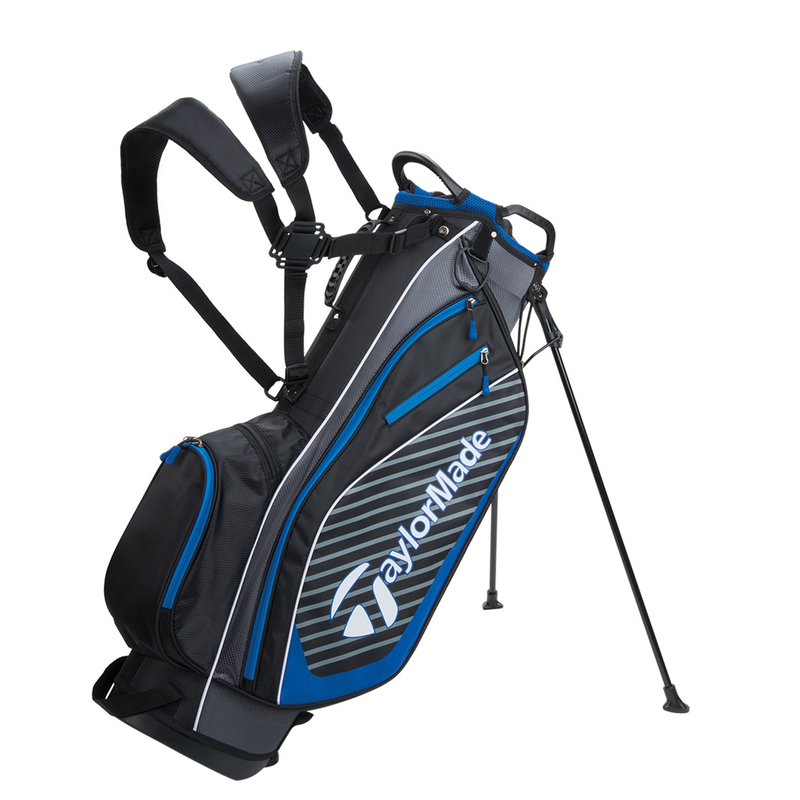 The bag benefits from a 7-Way Top (9") combined with full length dividers so you can organise your golf clubs much easier. 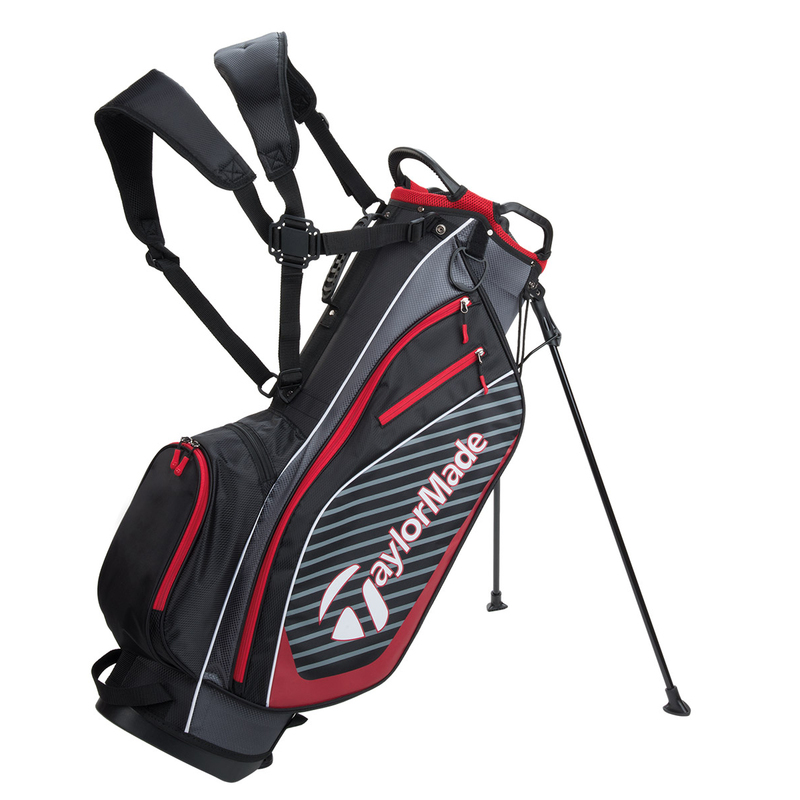 This bag has a lightweight construction (2.2kg) and durable material, to provide added protection for you golf clubs during transportation. 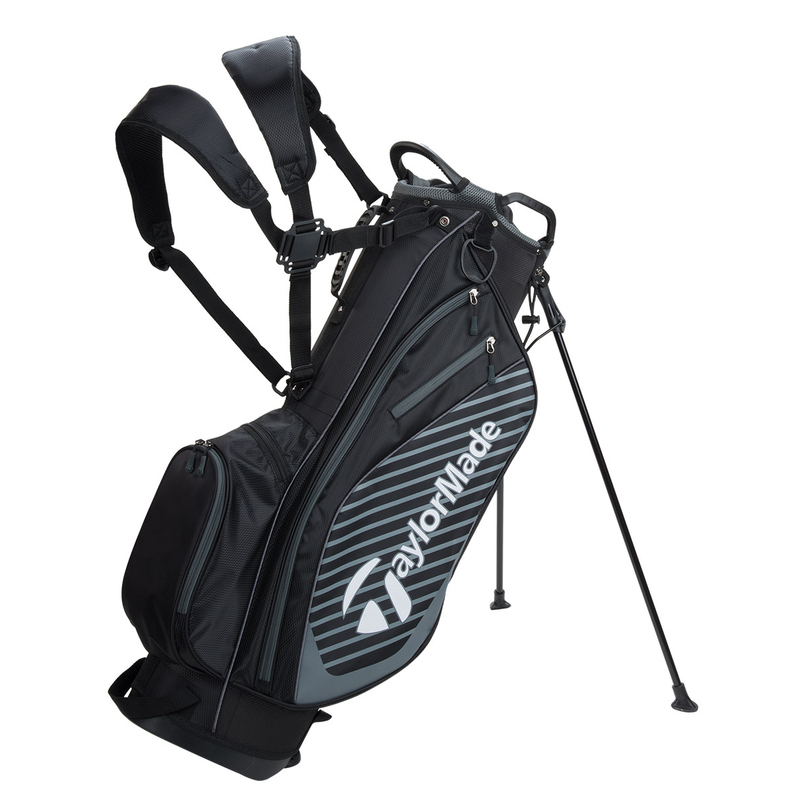 An umbrella holder and water bottle holder is ideally located to provide quick access, and an integrated top grab handle and a webbing trunk handle, make this bag easy to lift and move over short distances. Six pockets in total help you to get properly organised, these include a fur-lined valuables pocket, clothing pocket, ball pocket, and more. 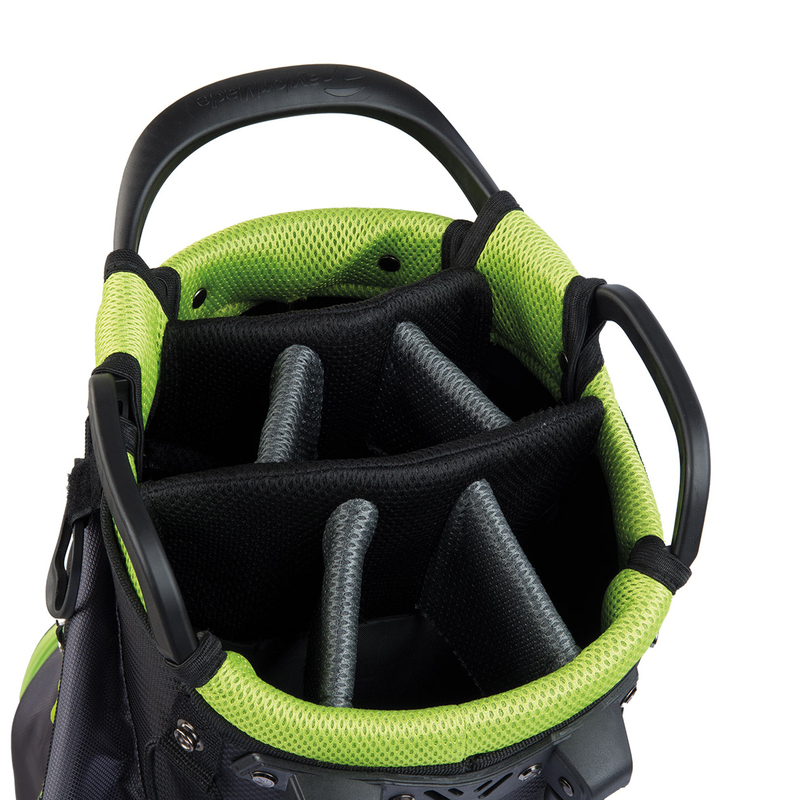 It also comes with a 4-point adjustable backpack strap for maximum balance and comfort, and features an automatic stand system with angled base for more stability. 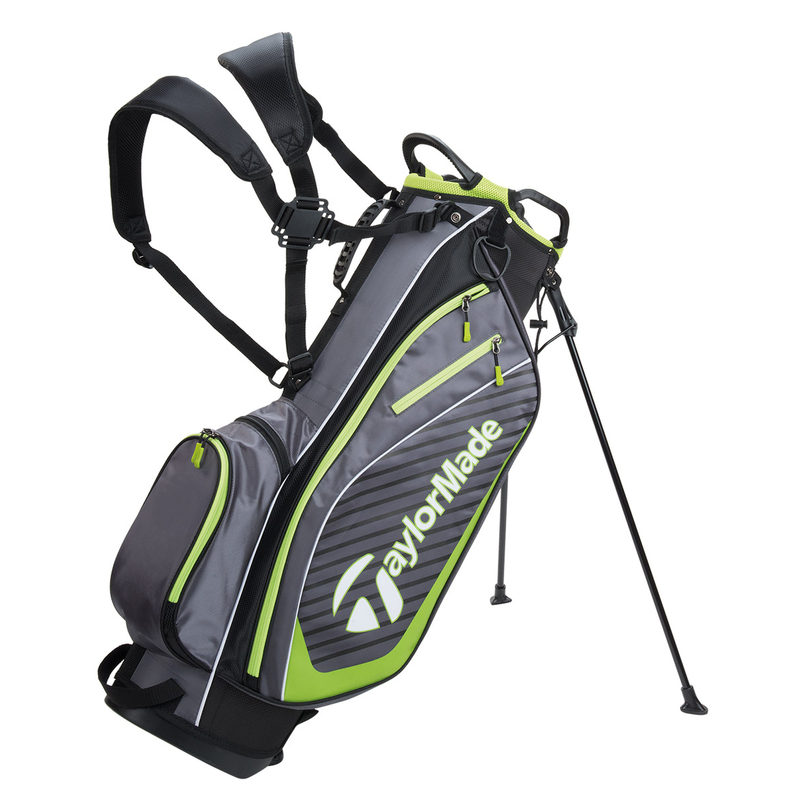 The bag comes complete with a rain hood for extra protection.